"The iPad Pro is now in two sizes: 12.9 inches and 9.7 inches. Anyway, now I wonder if I should upgrade to iPad Pro from iPad Air 2. So a thorough iPad Pro vs iPad Air 2 comparison is preferred just for my purchase reference." Finally, the new 9.7-inch iPad Pro was introduced on latest Apple Event on Mar 21, 2016. This news suprised most of Apple fans because the new iPad is called 9.7-inch iPad Pro officially instead of iPad Air 3. 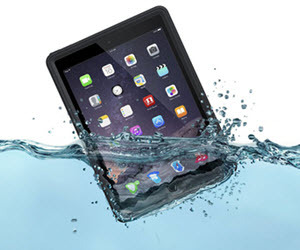 And question comes: Will the new iPad up the ante to stack up against Air 2, which will see a $100 price drop as usual. Here the 9.7in iPad Pro vs iPad Air 2 review guides you through the difference and tells specs and advantages of iPad Pro over iPad Air 2 to help you decide. 1. [2016.07.28] The brand new iOS 10 beta finally come to us with many advacned features to will surely bring your iPad Air 2, iPad Air 3 to a new level. So just feel free to update to iOS 10 to enjoy more advantages on your ipad. 2. [2016.03.21] Apple Announces 9.7-Inch iPad Pro with Apple Pencil Support, True Tone Display on latest Apple Event on Mar 21, 2016. 3. [2016.01.17] It has a 9.7-inch screen display with 4K resolution according to Christian Today. 4. [2015.12.18] The new iPad is unlikely to have the same 3D touch as iPhone 6S, according to a research from KGI's analyst Ming-Chi Kuo. 5. [2015.12.15] Reports from 9To5Mac indicate the newest tablet is expected to be released in 2016 March event that will introduce Apple Watch 2 and iPhone SE. 6. [2015.06.10] According to MyDrivers, the new tablet will see a bump in resolution up to 2334 x 3112 pixels at around 401ppi. MacX MediaTrans - Backup and transfer data between iPad and computers in one click. Backup music, photos and videos etc from iPad Air 2 to Mac computer and transfer to iPad Pro 9.7/12.9 simply by drag and drop. The top 2016 tablet comes with the standard 9.7-inch screen. But this does mean it's not worth getting the successor of iPad Air 2. This new Pro version climbs into 4K display technology, featuring an ultra HD pseudo-4k display resolution of 2048 x 1536 pixels at roughly 264 ppi and a wider color gamut with 25 percent greater color saturation for more vivid colors. So if you are after more stunning visuals and richer colors, new iPad chaws up iPad Air 2. Plus, it will be 1mm slimmer than Air 2 that is 6.1mm thick, making it more popular than iPad Air 2. Inside the two Pads you can find some diverse components that make a big difference in terms of the processor. Under the hood, the iPad Air 2 actually has the same internal specs as the iPad Mini 3 model, powered by a year-old A8X processor that is about 12 times faster in comparison to the first generation A7X processor. 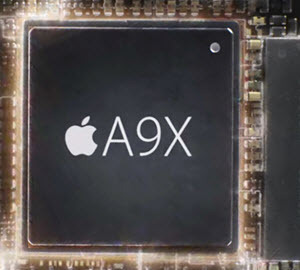 Given that the 12.9/9.7in iPad runs iOS 9.3 that puts extra pressure on the processor and it is powered by the 64-bit A9X chip found on iPhone 6S to cut down the power consumption and enhance the battery life. This prediction was reported by Christian Today before. Thus, users will experience up to 70% faster CPU performance and up to 90% faster GPU performance for all your favorite videos, movies, and games on the 12.9/9.7-inch iPad compared with iPad Air 2. By the way, the iPad Air 3 adopts the latest iOS 9.3 that supports split screen and other innovative features, while users of the iPad Air 2, though officially run iOS 8, can get the update from iOS 8 to iOS 9.3 right now. Another major difference between iPad Pro and iPad Air 2 is that the former struts in the standout International Protection Rating, commonly referred to as an IP rating. To put it another way, the new Air will be the first device, after the Apple Watch, coming with such a qualification for its high resistance to water and dust, provided the IP rating rumor pans out. Taiwanese media EMSOne said that Apple will ramp up the RAM of the third generation of iPad Air for better performance and multi-tasking. News from iPadAir3Update.com indicated that the new device will include a 3GB RAM of blazing and flawless experience. Some rumors even expect a 4GB of RAM on the iPad Pro, twice more than that of the iPad Air 2. 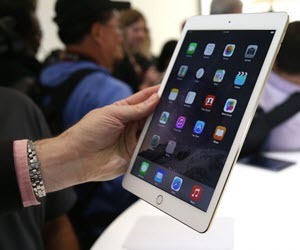 Since the new iPad Air doesn't appear on September 9 and Apple seems to concentrate on the new releases of iPad Pro and Mini 4, the tech giant puts the brakes on the new iPad and stops the production of the new tablet until the first quarter of 2016, which was also proven by the Chinese publication Economic Daily news. Despite iPad Pro is equipped with the faster A9X processor, splendid IP rating, awesome 4K display, brand-new iOS and 3GB of RAM, Macworld reported before that it costs pretty much what the iPad Air 2 cost, say, around $499 for a starting price. In fact, the new iPad with 32GB storage and Wi-Fi is priced at $599 while the 128GB model and 256GB model come with a price tag of $749 and $899. The good news is each release of a new model means a big price drop of the previous generations. So does the iPad Air 2, coming down in a price by around $100 and giving the iPad Air 2 a big run against iPad Pro. Want to get a new tablet in hand? Speaking of the stunning performance, the third generation of iPad Air is completely the victory, let alone its display quality for watching movies and videos thereon. 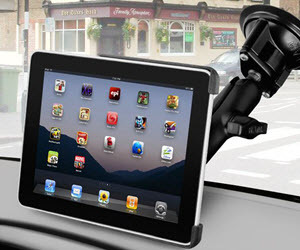 Personally, here is an ultimate tool for your iPad to fit the bill of high-quality movie playback. 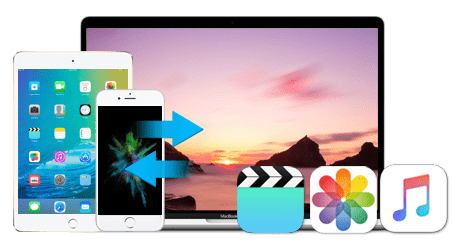 When you want to play HD videos movies on iPad, MacX MediaTrans will help you transfer those high-resolution videos to iDevices, including iPad 9.7/12.9, iPad Air 2/mini 4, iPhone 7/6s/se, iPod Touch etc on iOS 10/9/8. It automatically removes any video formats incompatiblities, making any videos in perfect formats and resolutions for your iPad. Simply drag the videos you'd like to watch.